Outstanding Agents, Outstanding Results! Why RE/MAX? From TV to sports arenas, radio, digital and more, the RE/MAX name is out there working - for you. Top brand awareness has you top of consumers' minds. That means an immediate recognition for your business, and the potential for consistent referrals. This balloon has clout. You'll see. RE/MAX International - RE/MAX means Real Estate Maximums, maximum commissions, maximum image, maximum support services, maximum value for the public, maximum professionals conduct and maximum services rendered by the associate. RE/MAX is known for attracting seasoned agents by offering higher professional standards, more efficient management, better compensation and greater freedom. Having a worldwide presence increases the referral opportunities between agents around the globe. 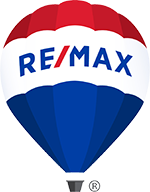 RE/MAX Professionals, Inc. - RE/MAX Professionals, Inc. has been serving the Sioux Falls area since 1985. We retain only experienced associates with proven abilities. RE/MAX is highly recognized and regarded as one of the city's top agencies. RE/MAX associates average more experience and more sales per agent that other real estate agents. For years, RE/MAX Professionals has been one of the top 5 companies in Sioux Falls. We are not the largest in terms of the number of agents, but we are the most productive. We continue to average more sales per agent than our largest competitors.